Words have power. I’m not sure most people realize just how much power words carry. It has the power to give sadness, anger, frustration. It has the power to break friendships and mame relationships. But when used with respect, with care, with caution, it can heal, it can motivate, inspire, cause joy and contentment. It enhances friendships and strengthen relationships. 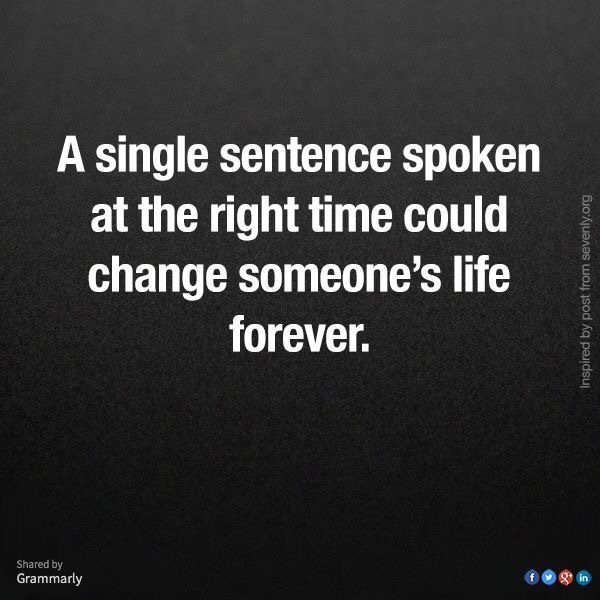 And all it takes is one sentence and it changes a person’s life.